When you are here in Bentong, things that you cannot miss out is the food! 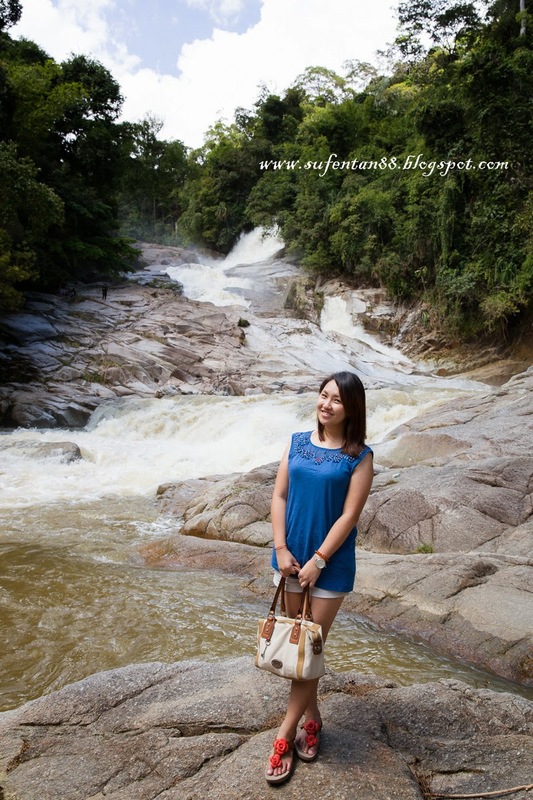 Bentong is a small town, 45 mins away from KL, easy to access and weekend are floated with KL people. So, today let me bring you around Bentong and see what can we find for good and cheap food. We came over here for lunch since it was recommended that they served good food with reasonable price. The place were filled with locals during lunch time. We seen to be the weirdest because both of us are holding cameras when walking in (obvious we are not local!). Quite a big portion for both of us. Both yam and pork are well braised, a yummy serving with juicy pork belly and soft yam. The smallest portion they served come in 6 pieces. We love the giant tau fu pok stuffed with generous fish meat and chives. Must Try! This is a place that you shouldn't miss out. The home made ice-cream is here in Kow Po. The place is so famous that when we arrived around 11am, it was packed and crowded inside the shop. Everyone was there with the same purpose as we do-to have their ice kacang! Although it is packed, we still managed to get our ice kacang and ice-cream within minutes. They are fast and efficient, before we can even pay at the counter, the ice kacang is ready on our table. That day, they only have 5 flavours-banana, peanuts, vanilla, chocolate and pandan. The best is their banana flavour, creamy and nice! Special about their Ice Kacang is that they use red bean paste instead of red bean. It brings up the flavour of the ice kacang when you eat with the ice. However, the portion is quite small. You may need to order two bowls or more to get satisfy. Their ice- cream is charge at RM 3.50 per scoop. Their home made ice-cream is creamy and smooth in flavour, it taste richer than those mass produce ice-cream in the market. It taste like the ice cream we used to have during our childhood time. Address: At Pasar Besar bentong, located at the back entrance outside of the market. I was told that Mrs. Mok sells very good kaya puff, so do her homemade kaya. The kaya puff comes in two packing, small packet consists of 6 pieces and big packet consists of 10 pieces. Price vary accordingly. The homemade kaya puff filled our car with the kaya puff smell once entering the car. It just make our whole journey mouth-watering just by smelling on it. The filling of kaya is fluffy and smooth, with the crunchy layer of the skin, making it irresistible. We can easily finished the whole packets in a day. The pineapple puff didn't turn out as good as the kaya puff. The filling is too dry and making the whole puff a bit too hard. 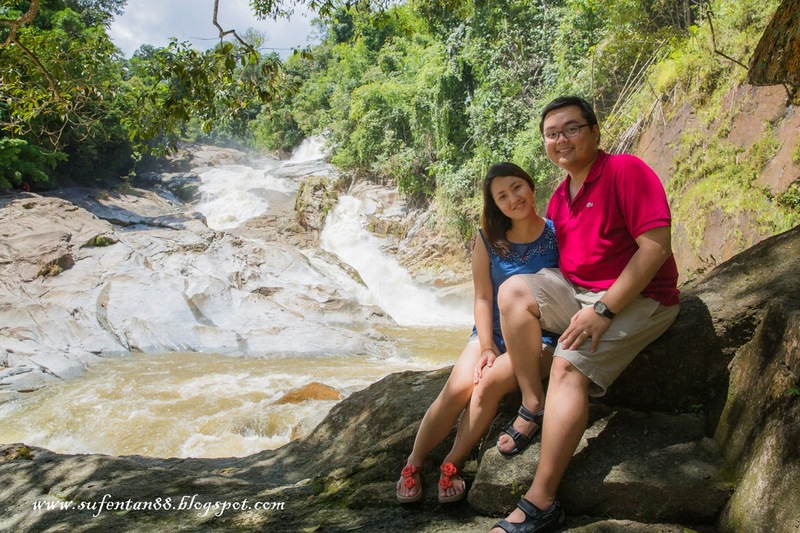 One of the attraction in Bentong, lots of people visit the place for picnic and family outing. How to go: Pass by the Hospital Bentong and Pejabat Kesihatan Bentong on your left, there is a signboard indicating Chamang Waterfall/Kampung Chamang on your left, take that turning and proceed about 10km into the deeper part of the village. On the way, there is a signboard leading you into the waterfall. We have reached! There are two parking areas to park your car. However the one nearer toward the waterfall was closed. We have to park at the upper area and walk down to the waterfall. You can still see a lot of cars park illegally beside the road for convenience, this is what Malaysian do when comes to parking! The closed parking area. There is a public toilet as well. Water flows fiercely from the cliff. Be careful and not get too near to the water flowing down area as the force was very strong.